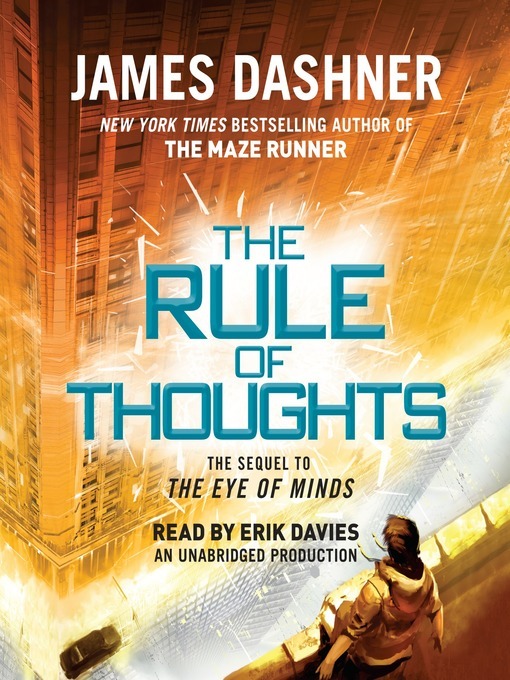 Title The rule of thoughts / James Dashner. Imprint New York : Listening Library, 2014. Description 1 online resource (1 sound file (10 hr., 11 min., 8 sec.)) : digital. Dashner, James, 1972- Mortality doctrine. Spoken word ; bk. 2. Note Sequel to: The eye of minds.